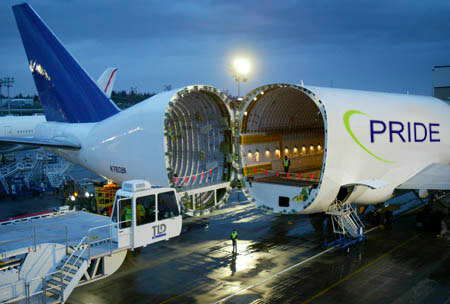 Our air freight services provide three distinct solutions that offer the ideal balance between transit time, space commitment, flight frequency and cost. 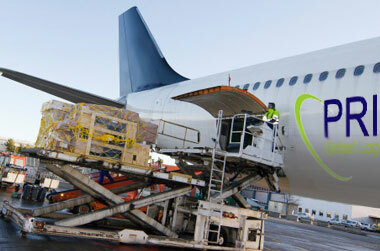 Pride Cargo Xpress (2-3 day service) - The most rapid, time-definite air service available. All consignments are scheduled for the next direct flight or fastest available connection.All-inclusive, door-to-door express services between Asia and North America or Europe and North America. Includes pick-up; export and import documentation; airline terminal; air freight transportation and a dedicated Pride Global Logistics customer service team - all assuring prompt and efficient delivery to your door. Pride Premium 5-Day Service - Our most cost-effective, deferred service; an ideal choice when cost takes precedence over transit times. Pride Sea-Air Combined Service - For those less urgent consignments that are more cost- effective than air and faster than ocean shipping alone, we have created a Sea- Air service that combines both air and ocean freight shipping, for an ideal cost and time-effective service.